As a general rule, building materials brands focus the majority of their marketing efforts on large-scale builders. It’s a sound strategy, as these builders can be reached more efficiently, and they ultimately deliver a higher marketing ROI. However, while niche builders may not be big in annual home starts, they do represent a big opportunity for brands. In fact, small, regional, and green homebuilders constitute a whopping 46.73% of the overall market. That’s a lot of untapped business that savvy building material brands would be wise to engage. The question is: What are the best strategies to earn the loyalty and trust of niche builders? One answer is to develop a content strategy that helps them communicate with their homebuyers. Buyers who select niche builders are often new to home building. They seek education throughout the process. They need informational materials at all major stages of the construction journey. However, niche builders don’t have the time — or the resources — to create the kind of staged, targeted content that will resonate with homebuyers at specific points in the homebuilding process. And therein, lies the opportunity for brands like yours. Developing a content strategy with niche builders can pay tremendous dividends for you. Content builds rapport with both builders and buyers and it boosts everyone’s confidence in your brand. Building a Content Strategy for Niche Builders and Homebuyers. 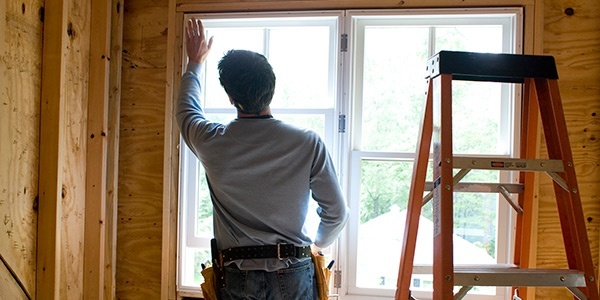 Following are several strategies to help you connect with homebuilders and their buyers before, during and after the build. For home buyers unfamiliar with the building process, a Before-the-Build Guide can prove quite valuable. Here, you can answer many of the questions these buyers are likely to ask. However, buyers don’t always know what they don’t know. So help them by supplying a list of questions when interviewing potential builders. Sharing this sort of brand-created content will help builders and customers better communicate about the process. In addition, it will allow building products brands, like yours, to show both parties that you understand their needs. A Before-The-Build guide will help establish your builder as the trusted partner and a provider of useful and objective information. During the building stage, homeowners can feel overwhelmed by the numerous decisions they have to make. So, it goes without saying that information and communication are critical at this stage. Help your builder help you buyer by creating content that will illustrate and detail the building process. Alert them to decisions and problems they should expect to encounter during this phase. Introduce the building team: List who’s who on the building team and explain what each person does. You may even want to devote some space to each specialization, calling out each professional’s goals and areas of expertise. Detail the building process: Take the homebuyer through the building process and educate them on what to expect. Be sure to include approximately how long each step will take and offer guidelines about when inspections should occur. Include product mentions where applicable: This is a terrific opportunity to highlight your products and the solutions they deliver, particularly during the build process. But be careful not to oversell. To help make the homebuyer’s decision process as simple as possible, structure the guide in easy-to-follow steps with clear explanations. Warranties: Encourage homeowners to become familiar with their warranties, including the length of covered time and manufacturer recommendations for replacements. Maintenance: According to mortgage firm Freddie Mac, homeowners will spend between 1 to 4 percent of a home’s value annually on maintenance and repairs — percentages which tend to increase as a home ages. Help new homeowners understand the importance of setting aside time and money for regular maintenance as well as major replacements. Product mentions: This is a great opportunity to mention the brands and products that are ideal for upgrades and product add-ons. Here, you can put your product line on full display and begin to earn a customer for life. To help familiarize homebuyers with those products of yours, they might need in the first few years of homeownership. Introduce them to products that can help them add value to their home in the future. Creating a homebuilder engagement strategy is key to the ongoing success for building products manufacturers. Brands that use content — particularly digital content — targeted to specific homebuyer concerns will not only help homebuilders, they will also position themselves as knowledge partners. This, in turn, builds long-term loyalty and relationships that boost trust in the brand, resulting in increased sales. Want to learn more about marketing to niche homebuilders? Contact Point to Point for ideas on how to build an effective content strategy of your own.